Heavy nickel plated salver, silver plates, available in 4 sizes, 100mm, 160mm, 205mm and 250mm high. Optional extra is the wooden salver stand which has a high gloss finish. 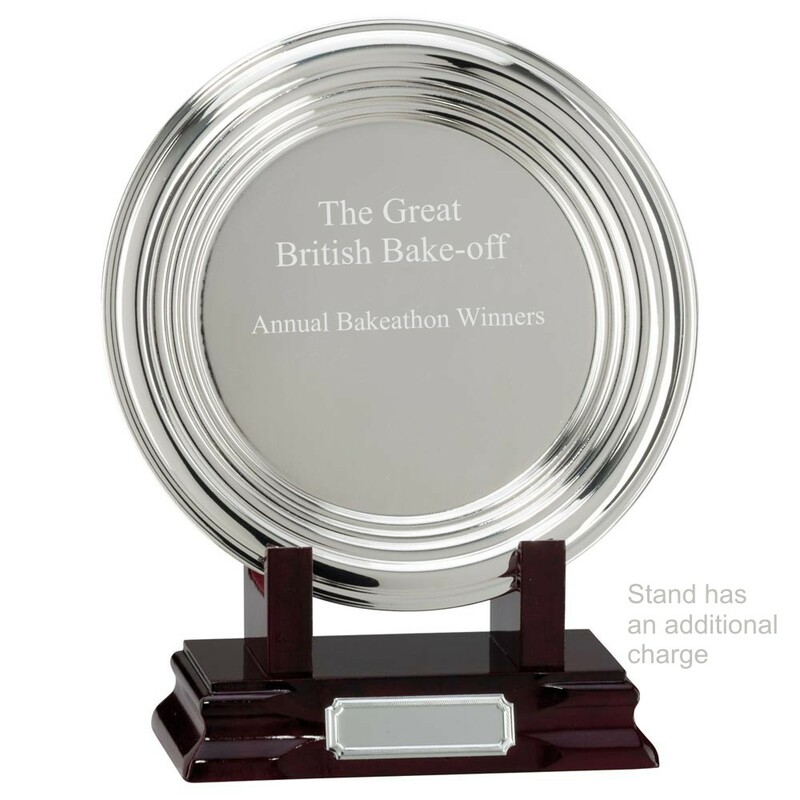 The base has an engraved plate attached and included in the price, the salver can be engraved directly with logos and text for an additional charge.